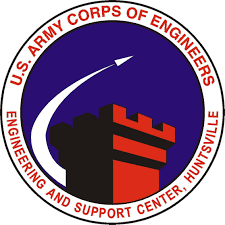 The Inspector General (IG) of Department of Defense (DoD) reports that contracting personnel at the U.S. Army Engineering and Support Center, Huntsville (CEHNC) did not adequately document and support their price reasonableness determinations for 25 Federal Supply Schedule (FSS) orders, valued at $10 million. Inadequate independent Government estimates for all 25 orders. This occurred because they relied on the expertise of the preparers of the Independent Government Estimates (IGEs) rather than having the preparers document and support the basis of the estimate as required by the Army Federal Acquisition Regulation Supplement and U.S. Army Corps of Engineers guidance. In addition, while the contracting officers stated that they took training on preparing IGEs, they did not document that they completed that training. Vendor quotes were eliminated from consideration for technical reasons for 7 of the 25, valued at $3 million, without verifying whether the prices were still valid for comparison purposes. The contracting officer involved in the actions admitted that this was an oversight. CEHNC contracting personnel relied on price reasonableness determinations that were not approved until after the award of 4, valued at $1.76 million, of the 33 orders. Again, the contracting officer stated that this was an oversight. Bottom line, the IG determined that CEHNC did not have guidance requiring contracting personnel to approve price reasonableness determinations before awarding orders. As a result, CEHNC’s customers may have paid more than they should have for the supplies purchased. Guidance be developed and implemented requiring contracting personnel to approve price reasonableness determinations before awarding orders.